The Ebola Virus is spreading in Africa, and potentially to an even wider area in the future. The Worst Ebola Outbreak in History is Getting Worse is from GoKicker. The deadliest Ebola outbreak in history is happening right now is from Vox. Ebola Outbreak in West Africa Now the Worst in History is an interactive guide at Mashable. Deadliest ever outbreak of Ebola virus: What you need to know is from CNN. 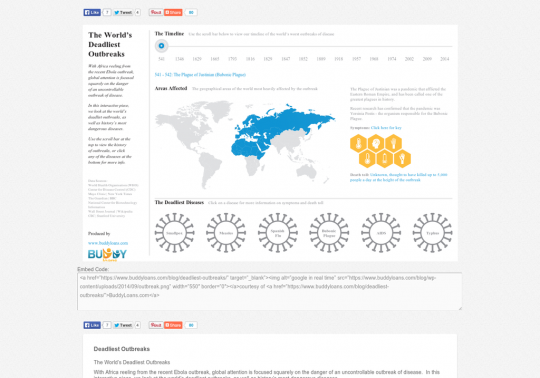 Check out this An interactive guide to Ebola at ThingLink. Here’s an older Ebola Q & A from CBBC Newsround. Deadly Ebola virus on the move in Africa is an infographic the Washington Post made in April, but it still has useful information. Doctor Infected with Ebola Asks That Experimental Serum Go to Sick Colleague Instead is from The Atlantic. What would happen if Ebola came to the United States? is from Vox. Ebola: Liberia shuts schools to tackle outbreak is from The BBC. Daily chart: Ebola’s spread is from The Economist. Deadly Ebola virus on the move in Africa is a Washington Post infographic. Infographic: Ebola By the Numbers is an infographic from TIME. What You Need to Know About the Ebola Outbreak is from The New York Times. Mapping the world’s worst Ebola epidemic is from Al Jazeera. The deadly spread of Ebola – clickable map is from Channel Four in the UK. Ebola outbreaks from 1976 to now – interactive map is from The Guardian. This detailed model of the Ebola virus is about as terrifying as you’d expect is from The Washington Post. Using a Tactic Unseen in a Century, Countries Cordon Off Ebola-Racked Areas is from The New York Times. How to stop the Ebola outbreak; Where the Ebola outbreak is most likely to spread next; and Video: Inside an Ebola hospital are all from Vox. An Ebola treatment center is a Washington Post infographic. Understanding the Ebola Outbreak: A Multimedia Resource Guide is from The Lowdown. Investigating Ebola: How contact tracing will work in Texas is an infographic from The Washington Post. The NY Times has updated their What You Need to Know About the Ebola Outbreak infographic. Ebola in the United States: What You Need to Know is from TIME. Map: These are all the countries with confirmed Ebola cases is from Vox. First Ebola case diagnosed in US is an interactive from The Associated Press. Don’t panic over Ebola in America is from Vox. Ebola is in the US. 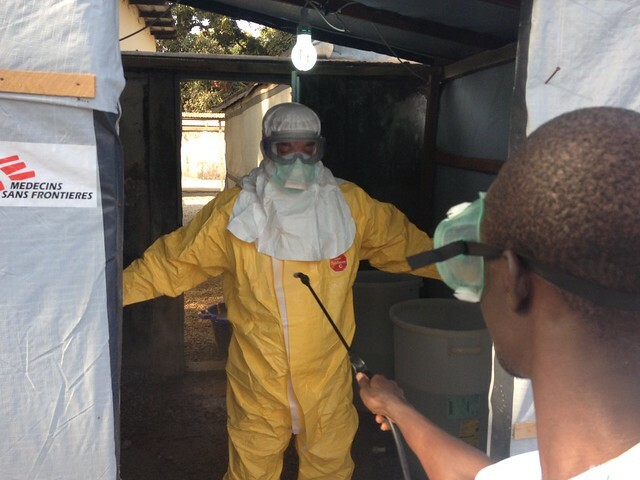 Here’s how health officials will contain it. is from Vox. Ebola in the U.S. is an updated Associated Press interactive. Changes to Ebola Protection Worn by U.S. Hospital Workers is an infographic from The NY Times. Visualised: how Ebola compares to other infectious diseases is from The Guardian. WHO warns 10,000 new cases of Ebola a week are possible is from The Guardian. Ebola spreads slower, kills more than other diseases is an infographic from The Washington Post. How to avoid being infected with the Ebola virus is from The Guardian. How does an American nurse contract Ebola? With directions like these. is from Vox. Read about this campaign at The Washington Post at its article headlined, ‘I am a Liberian, not a virus’: Campaign fights back against Ebola stigma. This one is from TED-Ed. The full lesson is here. A History of Ebola in 24 Outbreaks is a NY Times interactive. Mawahtale is an interactive on Ebola. NextJuly’s “The Best” Lists — There Are Now 1,335 Of Them! Hey there, I found your blog very informative and helpful. I’ve read almost all your blog posts and would really love to read more of it. I suggest you also syndicate your blog on popular sites like http://ManagementParadise.com where you will find millions of like minded people as a ready audience. Keep Blogging. Cheers! Hi Larry, like you and I would guess many others, I am trying to learn as much about this disease as I can at the moment. It’s a difficult topic to learn about but these resources have helped me understand what is going on better. Here’s a Mind Map with more key info: https://www.examtime.com/en-US/p/1111718. Could you embed it in your post about? I would like to suggest to all people interested in this topic to visit FILOVIR website (http://www.filovir.com) which displays updated scientific information on epidemiology, ecology, pathology and molecular biology about filoviruses, Ebola and Marburg viruses. The same website has also a Twitter account for realtime news on the ongoing outbreak in West Africa. Thanks, LZ.